Fisheries biologists and scientists work collaboratively with local agencies and tribes to study the behavior of fish passing through the Priest Rapids Project. 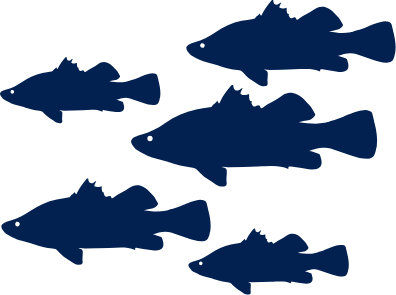 More than 40 species of fish swim the waters of the project area, including 14 of the 24 recognized families of North American freshwater fish. Among these species are both anadromous (migratory) and resident fish. 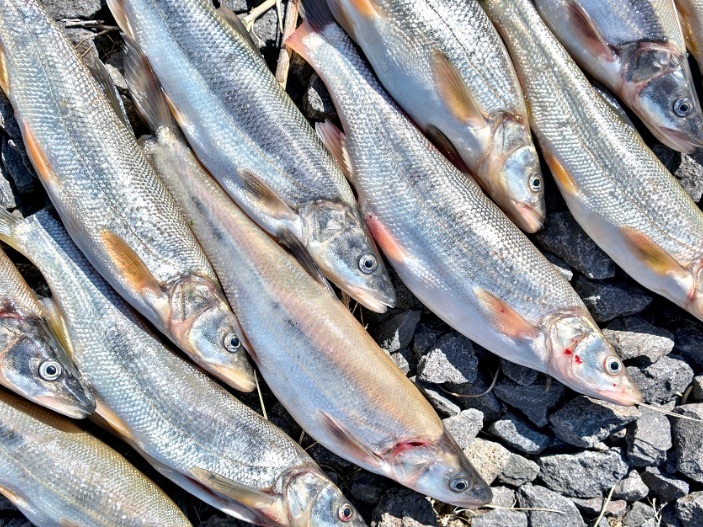 Interested in the state and federal requirements and agreements that govern our fish protection efforts? 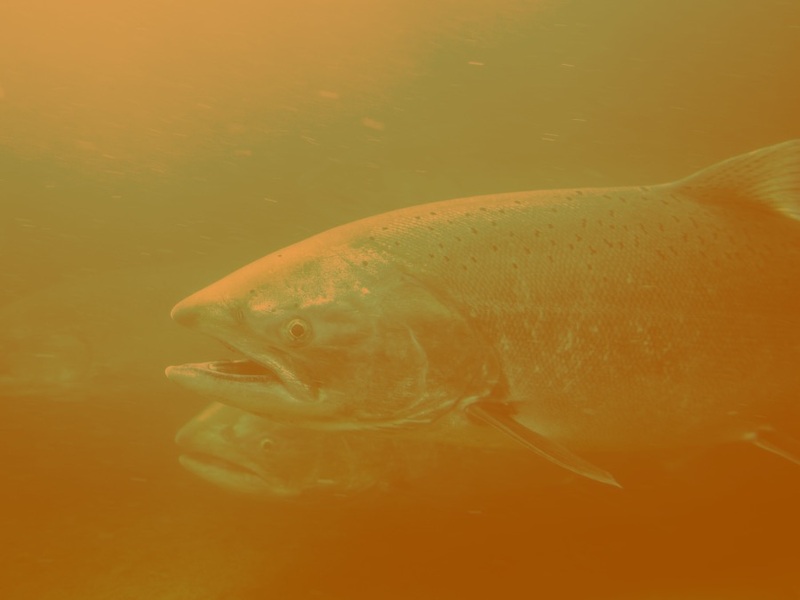 The National Marine Fisheries Service biological opinion determines that Priest Rapids Project operations are not likely to jeopardize stocks of Upper Columbia River spring-run Chinook salmon and Upper Columbia River steelhead. We provide accurate counts of adult fish that migrate past Priest Rapids and Wanapum dams. Video cameras record passage 24-7 during migration season from April 15 to Nov. 15. These counts help us manage the river environment to ensure salmon and other migratory fish survive and thrive. These are the folks who do our fish counts every year from April through November. They can identify most any fish in the river from the shape of its head, body and tail. The counters used to count in real time, 24-7, through viewing windows in a small rooms called "count houses." Today, the runs are video recorded at each dam, and the counters work off the videos. 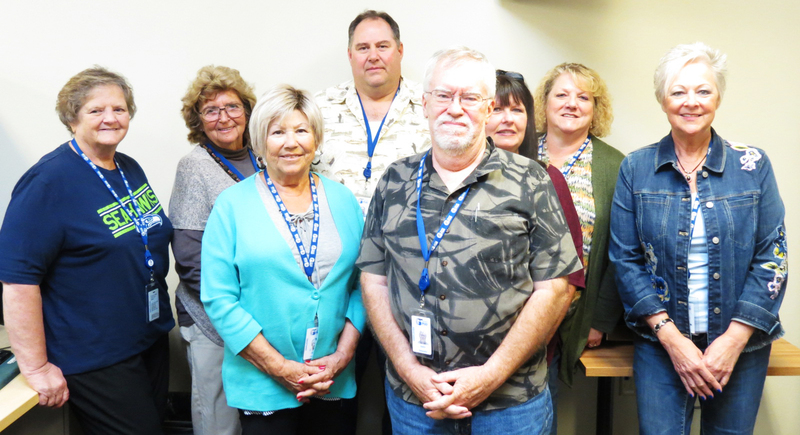 From left, Vicki Solheim, Arline Harvold-Terry, Carol Frady, Supervisor Dave Duvall, John Smoots, Debbra Long, Denise Wisdom and Val Parker. Neither Public Utility District No. 2 of Grant County (District) nor any of its officers or employees warrants the accuracy, reliability or timeliness of any information published on this web page. The information is provided for informational purposes only. The District may not be held liable for any losses caused by reliance on the accuracy, timeliness, or reliability of such information. Some or all of the temperature and gas data has been downloaded electronically from remote devices and is particularly time and date sensitive and subject to change without notice. Additionally, the District assumes no obligation to provide timely or current updates to the same. References to trade names or links to resources outside the District does not imply endorsement of the trade name or linked site by the District. Additionally, the District does not endorse the use of this information for any particular purpose nor authorizes any use for commercial purposes or alteration of the data. 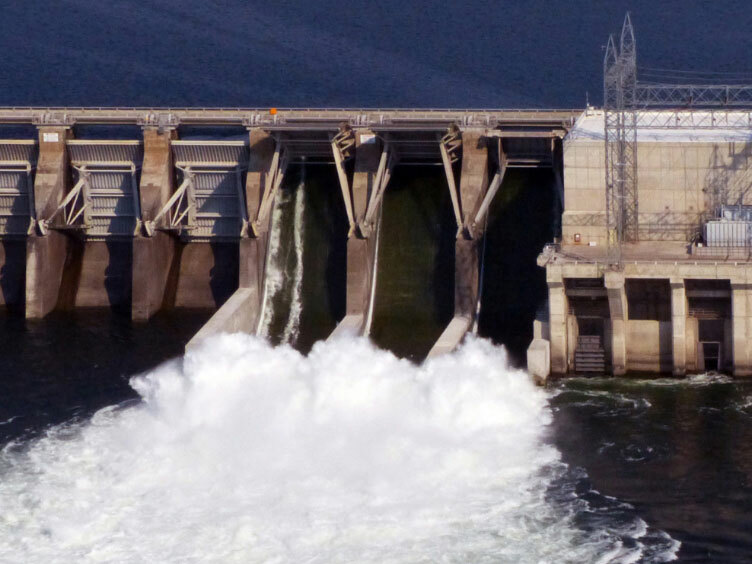 Our goal is to ensure that 86 percent of juvenile salmon (smolts) pass through both Wanapum and Priest Rapids dams safely. 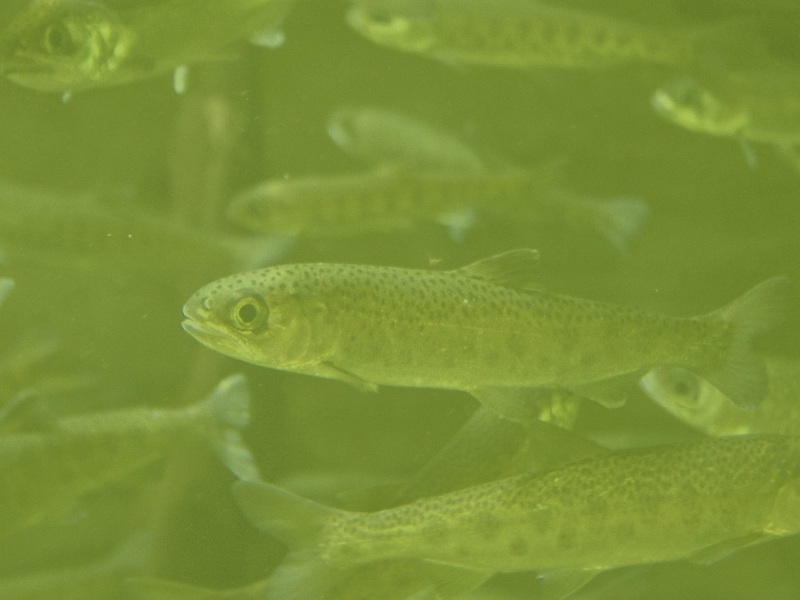 Our fish bypass projects allow downstream migrating juvenile salmon to pass our dams without going through a turbine, thus increasing their chance of survival. Each fish bypass project was preceded by years of research, model studies and testing to determine where smolts travel through the river as they approach our dams. The final design for the bypass offers migrating smolts the safest possible downstream passage route. Exit width of 90 ft.
Three 204-foot chutes (using existing spill gates). Each shoot has a 40-44 foot opening. 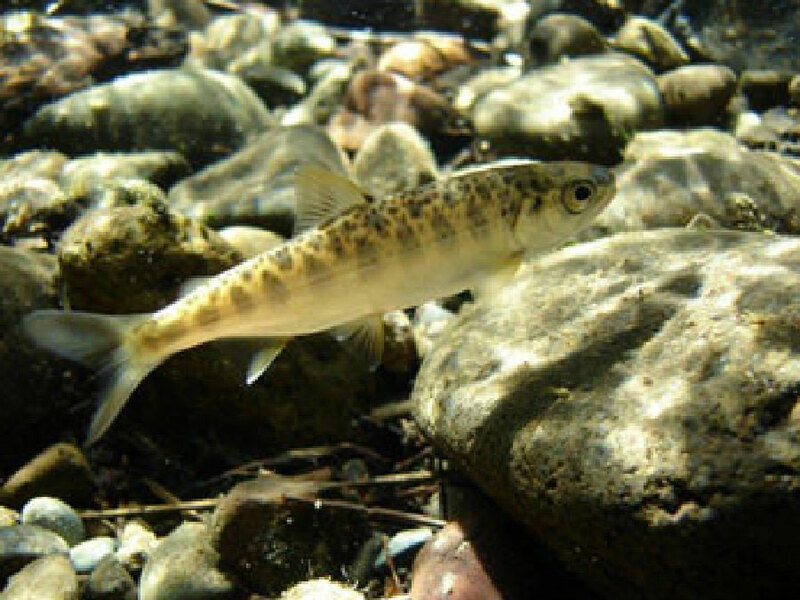 Most juvenile salmonids stay in the upper portion of the water column as they migrate downstream to the ocean. This fact influenced the design of each bypass. 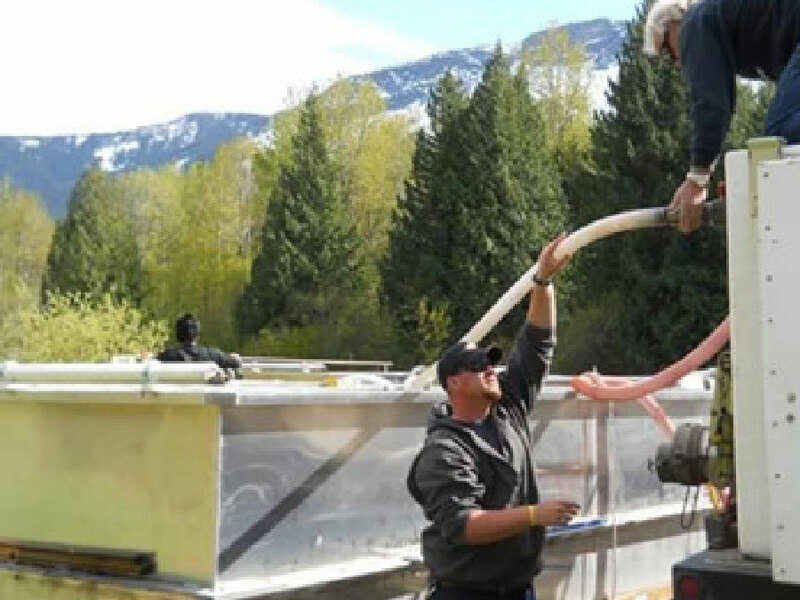 Each fish bypass system is engineered to provide migrating salmonids the safest possible passage route while also maximizing water-use efficiency. 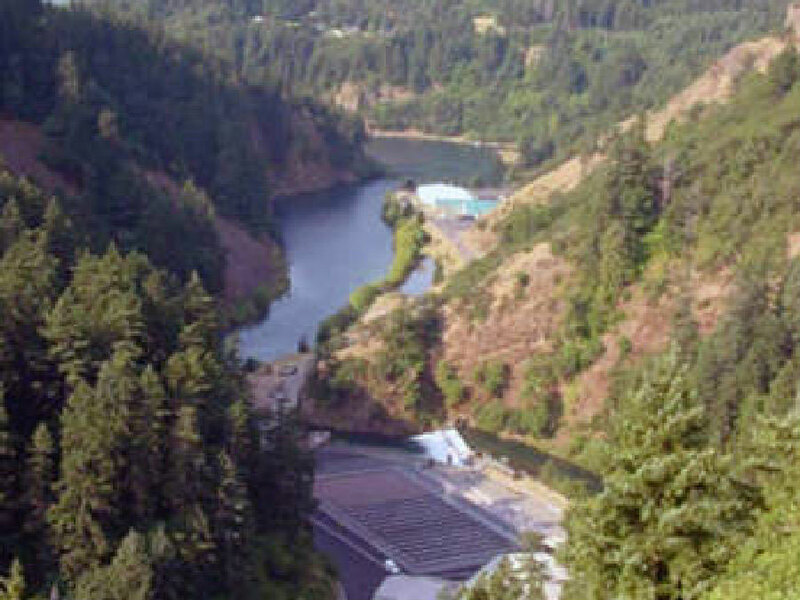 Water flowing through the bypasses is designed to minimize harmful total dissolved gas (TDG), which at high levels can cause gas bubble trauma to fish. For more than 30 years, we have been an innovator in fish protection efforts. 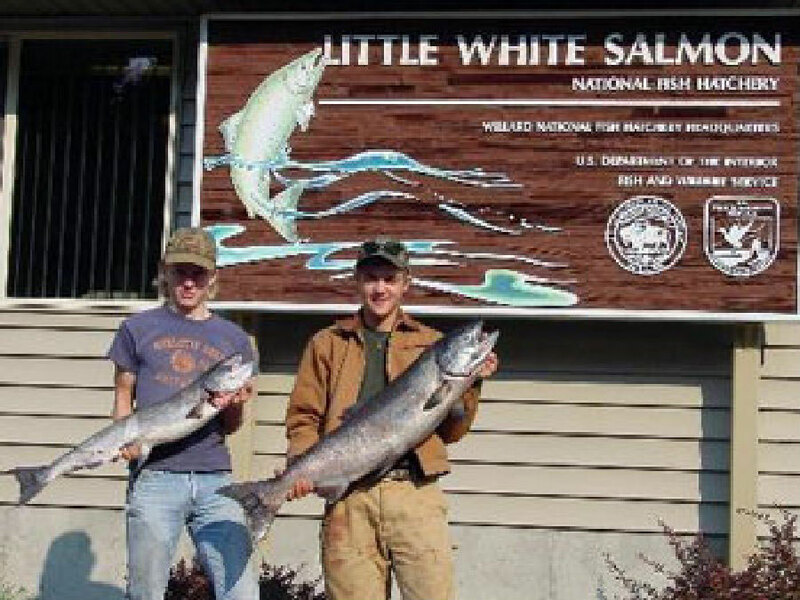 Fish conservation programs developed with fishery agencies and tribes play a critical role in the region’s efforts to preserve the quality of Northwest fish populations. We operate and maintain two fishways at each dam designed to allow safe passage upstream for adult fish returning to their native waters. The sluiceways at both Priest Rapids and Wanapum dams provide a fallback passage for steelhead and fall Chinook. 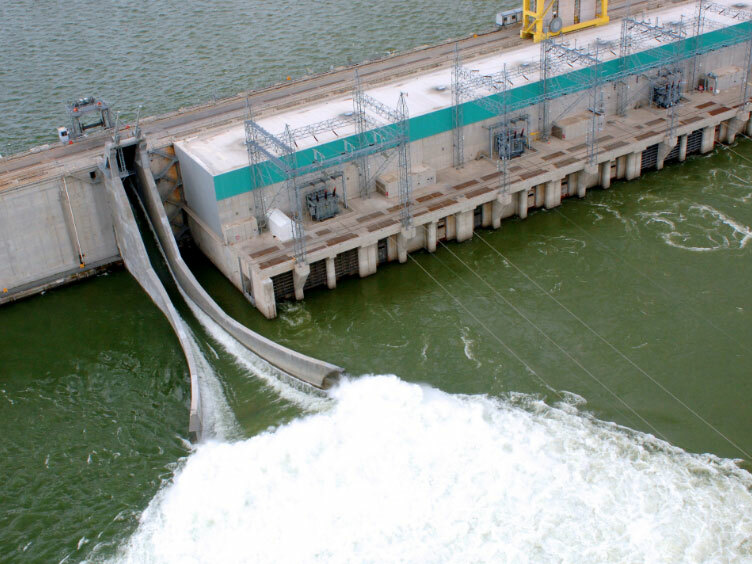 The Off-ladder Adult Fish Trap facility at Priest Rapids Dam was built for fish research and management activities. 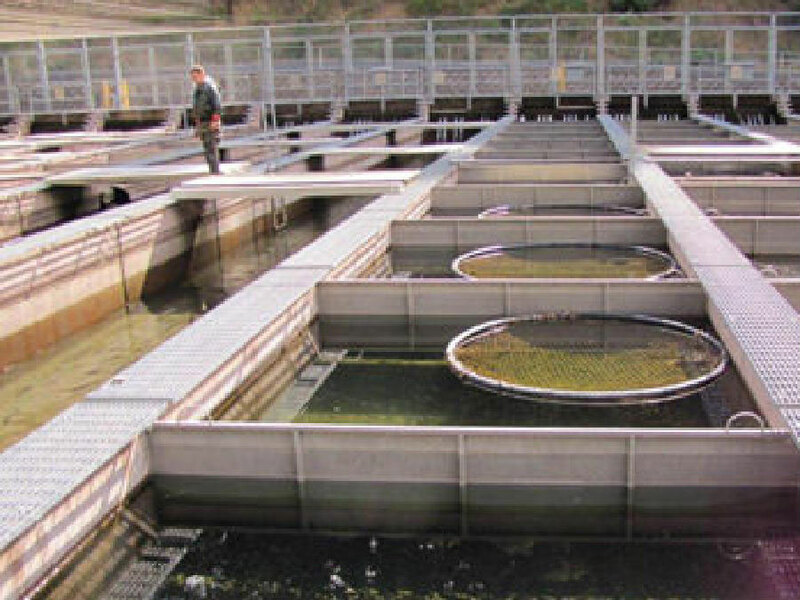 The trap diverts steelhead from the fish ladder into a holding tank where they are examined, measured, recorded and tagged before being returned to the fish ladder. Adult Passive Integrator Transponder (PIT)-tag detection equipment is installed at both fishways at Priest Rapids Dam. These PIT-tag readers monitor downstream survival of fish and their return upstream, providing valuable data regarding fish migration histories. We are committed to providing accurate counts of adult fish migrating through the fishways at Priest Rapids and Wanapum dams. These counts contribute to research and management purposes for the Columbia Basin salmon populations and river environment. Installation of wire deters various species of fish-eating birds that prey upon migrating salmon smolts. We conducted studies at Wanapum and Priest Rapids dams to determine where birds feed upon smolts, and installed wire arrays to protect fish in those areas. Northern pikeminnow are a native, fish-eating minnow that lives in the Columbia River. Northern pikeminnow larger that eight inches are known to feed heavily on salmonid smolts during the downstream migration. 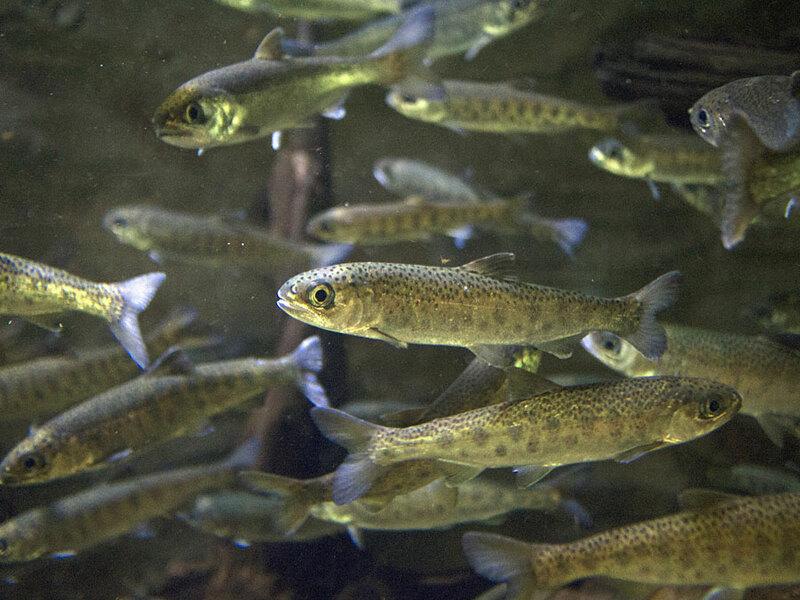 To increase survival of the salmonids moving through the Priest Rapids Project, we implemented a control program that focuses on removing adults, sub-adult and yearling northern pikeminnow. We use set lines, seines (a net that hangs vertically in the water), traps and angling tackle to remove northern pikeminnow and increase the overall survival of migrating juvenile salmonids. Our habitat restoration and conservation efforts are intended to accelerate fish survival and recovery. Due to historically declining salmon populations, we are focused on preservation of wild salmon. Learn more about the facilities that support our hatchery programs. Penticton Hatchery Grant and Chelan PUDs/Okanagan Nation Alliance Penticton, B.C. 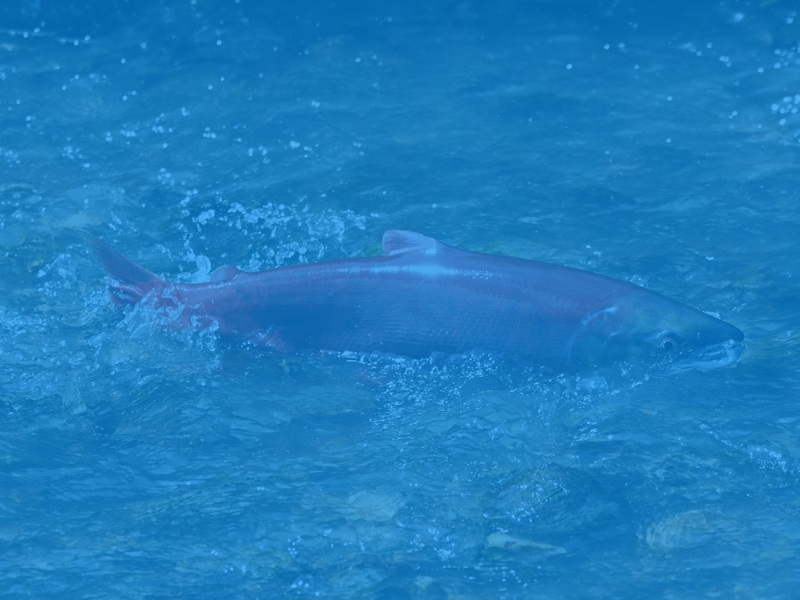 Sockeye 1.1 million Spawning of adults, egg incubation and early rearing, release into Okanogan River/Skaha Lake, B.C. 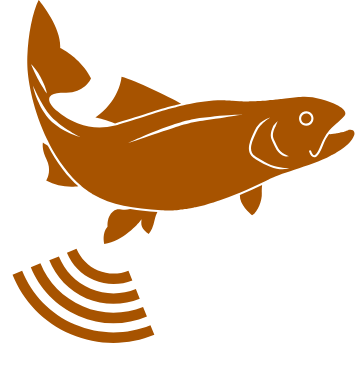 Chinook salmon are a very important species of the Pacific Northwest. 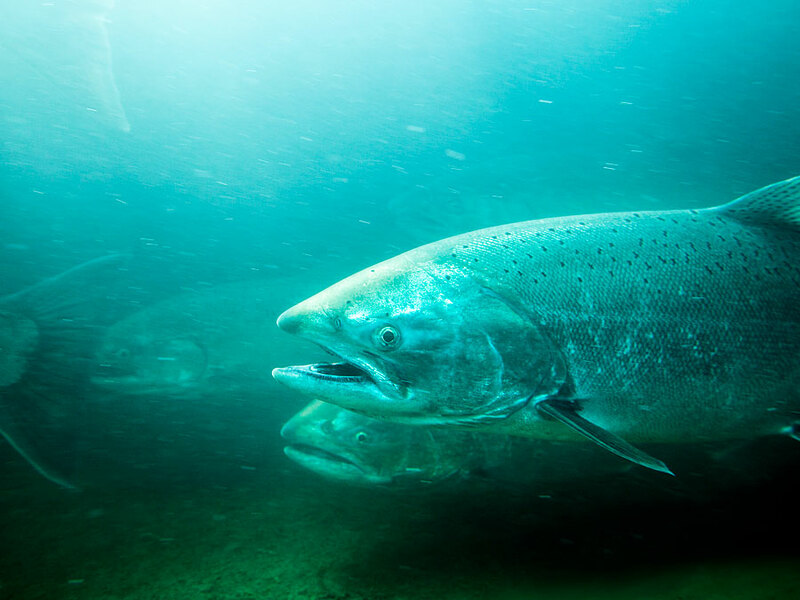 The largest of all Pacific salmon, Chinook (also called king salmon) provide a food source for a diversity of wildlife and are also highly valued by people who harvest salmon commercially, recreationally, and for culturally significant purposes. Most Chinook salmon live about three to seven years, spending their first year or so in freshwater habitat. They then move to the estuaries and open ocean where they spend two to four years feeding before they make the return journey to spawn and die. Coho salmon are the second largest of the Pacific salmon. They can reach lengths of 35 inches and weigh more than 30 pounds. They are also referred to as silver salmon. In the ocean, coho salmon have dark metallic blue or greenish backs with silver sides and a light belly. Fish spawning in freshwater are dark with reddish-maroon coloration on the sides. Sockeye are the third most abundant of the Pacific salmon (behind pink and chum) and are a keystone in the North American commercial fisheries. They are also a popular in recreational fisheries. 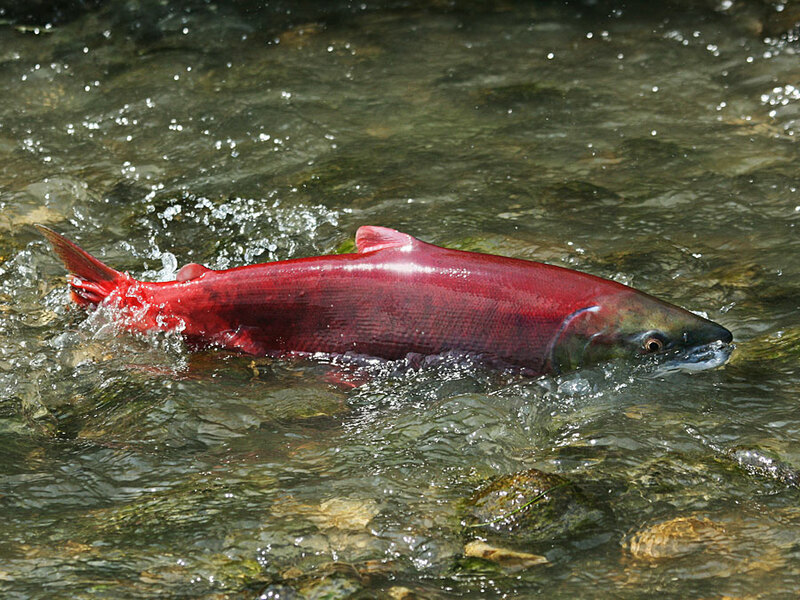 Sockeye salmon have a four-year lifecycle and are among the smallest of the five North American Pacific salmon species. Their succulent, bright-red meat is prized above all others. Like Chinook salmon, they are born in freshwater. 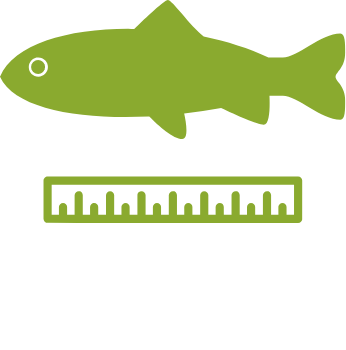 However, sockeye require a lake nearby to rear in. Once hatched, juvenile sockeye usually remain in their natal habitat for two years; sometimes longer in colder waters located in northern climates. They then journey out to sea where they grow rapidly for two years, feeding mainly on zooplankton. Washington state designated steelhead as its official state fish in 1969. Steelhead are the ocean-going (anadromous) version of rainbow trout. Like most salmon, steelhead return to the Columbia River to spawn. Unlike salmon, they do not spawn upon their arrival to the spawning grounds and then die, but rather overwinter and spawn the following spring. Steelhead can recover and return to spawn multiple times. The Priest Rapids Project is home to a variety of native amphibians, reptiles, birds, mammals and plants. The riparian habitat (green, vegetated areas on each side of streams and rivers) provides a valuable and otherwise scarce resource. This habitat is used by more than 60 different animal species documented in the project area. In arid environments such as Grant County, riparian zones around water sources provide a “ribbon of green” surrounded by upland shrub-steppe communities. These areas benefit both humans and wildlife. For management purposes, riparian habitat includes vegetated areas adjacent to aquatic systems that provide food and cover for wildlife, as well as areas that may not be well vegetated, but do provide movement corridors for many species. Grant PUD manages riparian areas along both banks of the Columbia River from Rock Island Dam to just below Priest Rapids Dam, a distance of approximately 58 river miles. Vegetation management in riparian and adjacent shrub-steppe areas includes protecting functioning habitat, restoring degraded habitat and implementing biologic, mechanical and chemical weed control. A common site in Grant County, the Canada goose (Branta canadensis) is one of the most iconic and recognizable birds throughout the country, sounding their distinctive “Ahonk! Ahonk!” call. During fall hunting season, this species is one of the most targeted birds in the state. Grant PUD has installed and maintains 10 goose nesting tubs distributed throughout the project area. 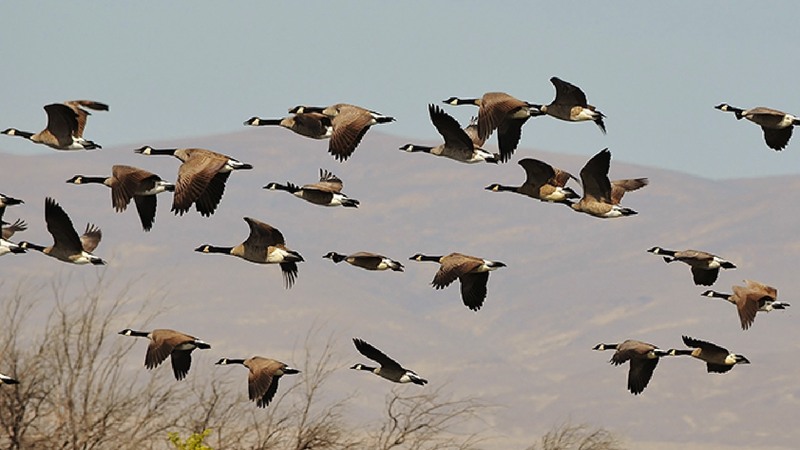 In February, Canada geese mating pairs form, followed by nesting in March and April with goslings leaving the nest in May. In the Priest Rapids Project Area, biologists have observed geese nesting on rock cliffs, on the ground along shorelines and on islands throughout the Wanapum and Priest Rapids reservoirs. Great Blue Heron (Ardea herodia) are common to the near-shore zones of aquatic areas. Nesting habitat is ideally mature stands of evergreen or deciduous trees, referred to as a “rookery.” Great Blue Heron serves as an indicator of overall environmental health, bridging freshwater and upland habitat areas. Grant PUD biologists often encounter this species during boat-based and shoreline surveys, suggesting healthy riparian and shallow-water habitat within which Great Blue Heron roost, nest and feed. 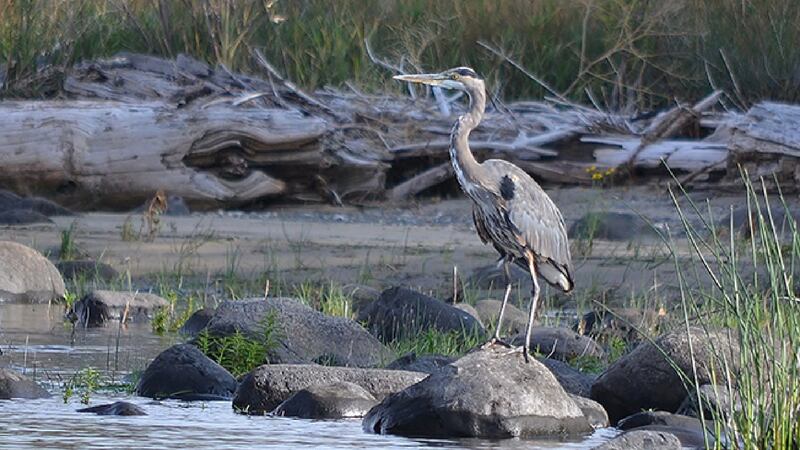 While recreating within the Priest Rapids Project you may spot a heron rookery on Crescent Bar or on Goose Island. 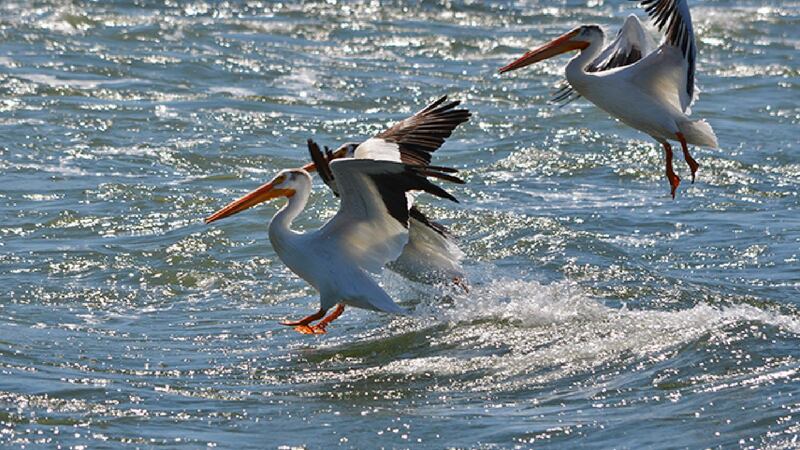 American White Pelicans (Pelecanus erythrorhynchos), unlike brown pelicans, do not dive. The inland waters of eastern Washington support a significant number of non-breeding American white pelicans throughout the year. Nonbreeding American white pelicans can be found along the Columbia River from The Dalles through Chief Joseph pool, including Priest Rapids and Wanapum Reservoirs managed by Grant PUD. The American White Pelican is a State Endangered and federally-protected species. The effects of this piscivorous (fish-eating) species on protected salmon and steelhead is not well understood. 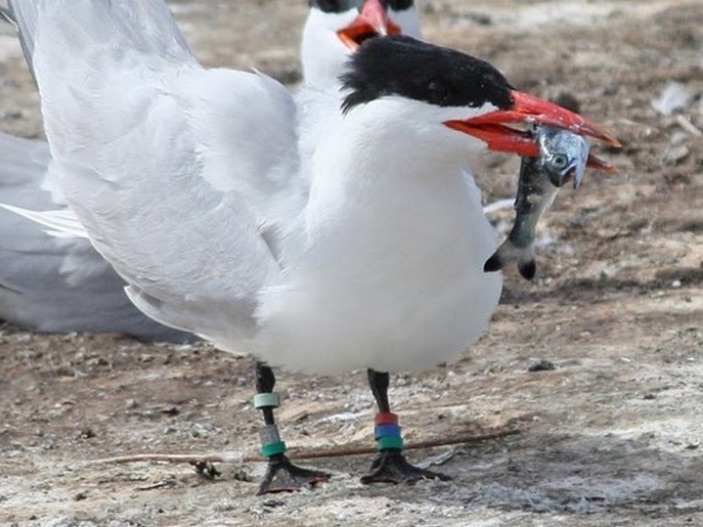 However, studies being conducted by Grant PUD biologists suggest that other bird species like Caspian Tern (Hydroprogne caspia) have a more direct effect on protected fish species like steelhead (Oncorhynchus mykiss). Female wood ducks (Aix sponsa) are easily identified by their large eyes, surrounded by a back-tapered white ring. Wood ducks nest in large tree cavities adjacent to wet habitats able to provide sufficient food. 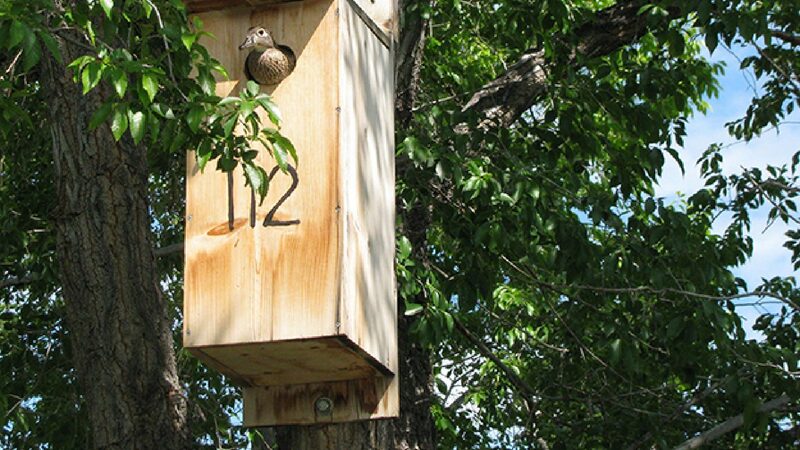 Once threatened with near-extinction in the early to mid-20th century, this species has experienced a healthy population rebound in part due to nest boxes creating new nesting opportunities. Grant PUD has installed and maintains over 50 wood duck nest boxes and over 100 waterfowl nest structures as part of the Priest Rapids Hydroelectric Project. May is an important month for plants and animals. Stay on trails and tread lightly in riparian areas to avoid hurting hatching ducks and emerging vegetation. 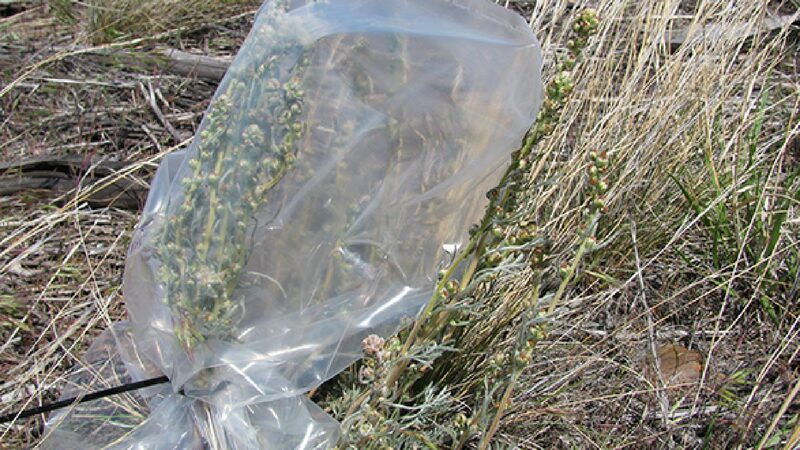 Northern Wormwood (Artemisia borealis var. wormskioldii) is a perennial plant in the aster family (Asteraceae). The species is listed as state endangered and a candidate for protection under the federal Endangered Species Act. The Grant County population occurs along the shore of the Columbia River and on several “islands.” This population appears to be restricted to an area of compacted cobbles and gravels with varying amounts of sand and little, if any, soil development. With one of the few known populations of this species located within its managed lands, Grant PUD has been working collaboratively with state and federal agencies to manage this species. Grant PUD has conducted demographic monitoring, installed fencing to limit vehicle access to the area and actively controls noxious weeds that occur at the site. Grant PUD has also collected seeds (pictured here) for experimental planting and storage in a seed bank. 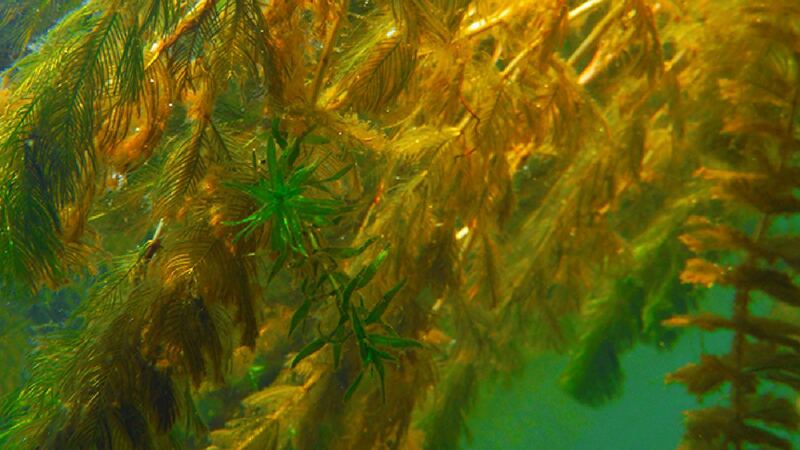 While many species of aquatic vegetation are native to the region, aquatic invasive species such as Eurasian watermilfoil (Myriophyllum spicatum; feathery vegetation pictured here) can grow and spread rapidly, replacing less vigorous native plants. It is a class-B noxious weed in Grant County, entangling boat propellers and clogging irrigation and power generation structures. The most basic way the public can prevent spreading these species is to “Clean, Drain, Dry” gear and equipment used in water. Grant PUD has developed and shares educational material with the public about aquatic invasive species like milfoil. Look for signage at Grant PUD boat launches. Better yet – look out for any aquatic vegetation on your boat and trailer and clean it up before driving away. Shrub-steppe communities form the iconic, western landscape of open sagebrush (large plant pictured here) plains and channel scablands. 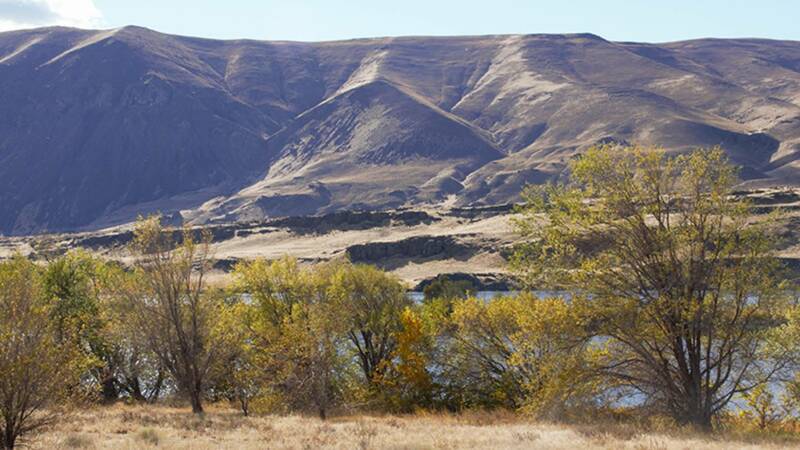 Described as vegetation communities consisting of one or more layers of perennial grass with a discontinuous overstory layer of shrubs, shrub-steppe historically dominated the landscape in eastern Washington. Some of the many species of wildlife that inhabit shrub-steppe can only be found in these arid and semi-arid communities. 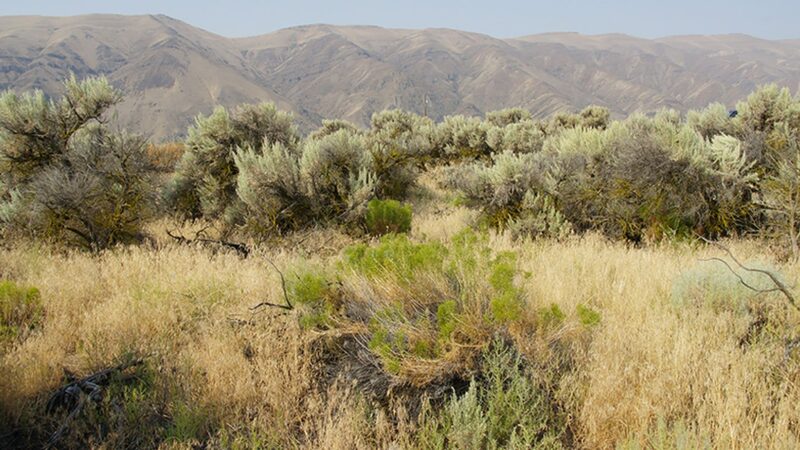 Sage sparrows, loggerhead shrike, and striped whipsnakes are among the species that depend on sagebrush and are termed “sagebrush obligates.” Grant PUD is actively restoring shrub-steppe vegetation in disturbed areas. However, non-native cheatgrass (Bromus tecorum; beige groundcover pictured here) is very difficult to remove once established and rapidly colonizes burned areas. Avoid use of fireworks, campfires or other fire starters during dry months of the year. When recreating in the Priest Rapids Project area, camp in designated areas only, pack out what you pack in, and stay on established trails. 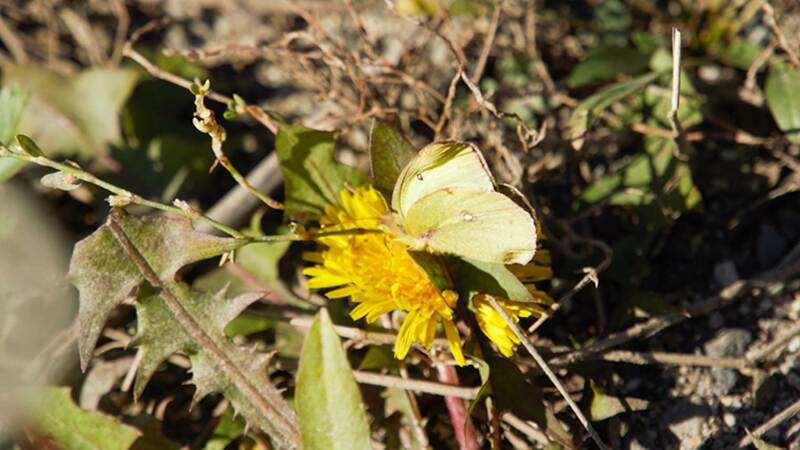 Pictured here is one of several species of butterfly known as the “Sulphur” (Colias sp.). The Clouded and Western Sulphurs are more common, with Alexandra’s and Pink-edged Sulphurs rare but also found in eastern Washington. They range across North America pollinating their preferred nectar species: clovers, milkweeds, sunflowers, and goldenrods - to name a few. While they do not directly target and pollinate human crops species, they are nonetheless part of the chain supporting overall ecosystem health. The worldwide decline of pollinators is expected to have profound effects on both the human economy and natural area biodiversity. While Grant PUD biologists do not monitor or manage insect species, they depend on pollinating species like the Sulphur butterfly for botanical programs. 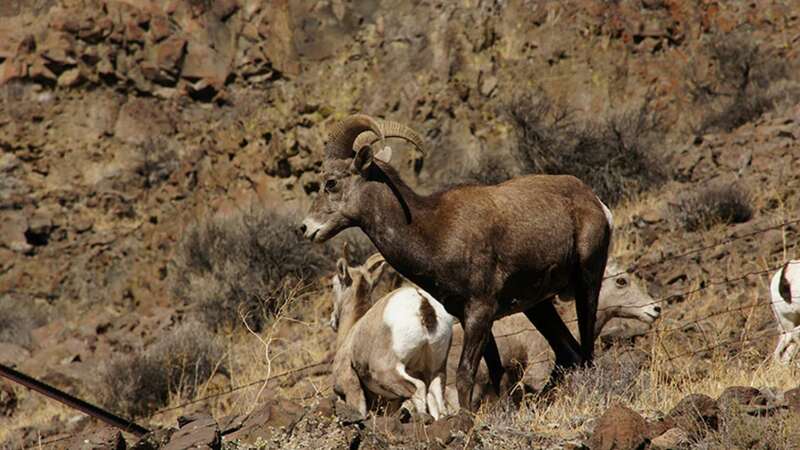 By the early 1900s, populations of bighorn sheep (Ovis canadensis) were considered eliminated from Washington State. Transplants have re-established populations in various locations, however ongoing research has been required as the sheep are not thriving as expected. Disease from domestic livestock along with habitat fragmentation and alteration are limiting factors. Grant PUD biologists monitor and help maintain important bighorn sheep habitat in the Priest Rapids Project Area. If you’d like to see bighorn sheep, you might try camping at the recently completed Rocky Coulee Campground. You might just find bighorn sheep visiting your campsite. Mule deer (Odocoileus hemionus) are a common sight in eastern Washington, preferring open forests and sagebrush meadows. They derive their name from their large, mule-like ears. Breeding starts at 1.5 years of age with the rut occurring in November. After 200 days, fawns are born. 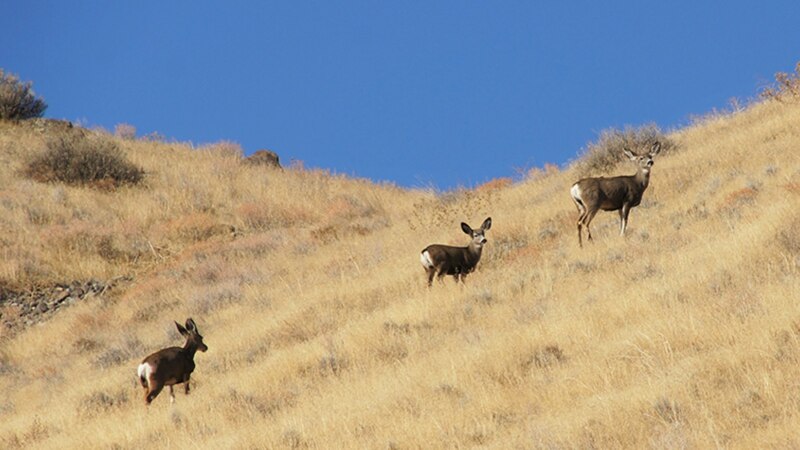 Mule deer are highly adaptable, inhabiting bunchgrass hillsides of the Columbia River to shrub-steppe to temperate forests. Grant PUD monitors and helps maintain mule deer habitat within the Priest Rapids Project Area. Annually in the spring and fall biologists survey sensitive habitat areas within the Priest Rapids Project Area for human disturbance and damage to habitat. Biologist remove fire rings, habit trails and trash, reseeding disturbed soils. You can help by using recreation areas, and avoid disturbance of important habitat. Wild turkey (Meleagris gallopavo; pictured here roosting at dusk) prefer hardwood and mixed conifer-hardwood forests with scattered openings such as pastures, fields, orchards and seasonal marshes. They seemingly can adapt to virtually any dense native plant community as long as cover and openings are widely available. Open, mature forest with a variety of interspersion of tree species appear to be preferred. Despite their weight, wild turkeys, unlike their domesticated counterparts, are agile fliers. 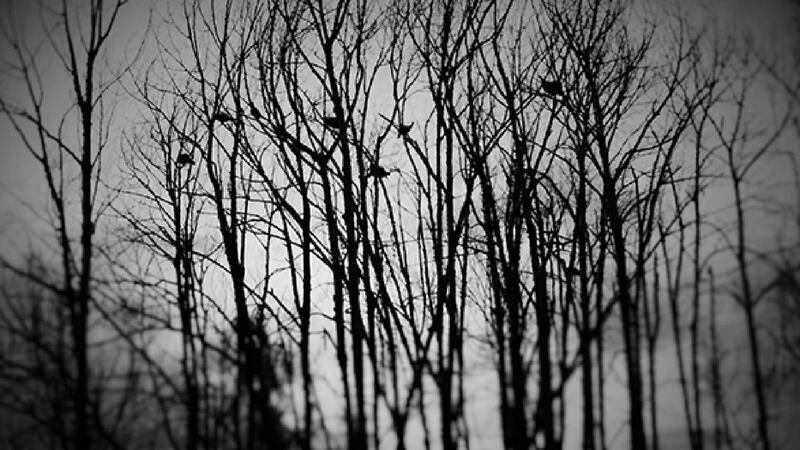 In ideal habitat of open woodland or wooded grasslands, they may fly beneath the canopy to find perches. While not abundant in arid eastern Washington, they have been observed in the Priest Rapids Project Area. Consider yourself lucky if you spot one while recreating in the Priest Rapids Project Area.